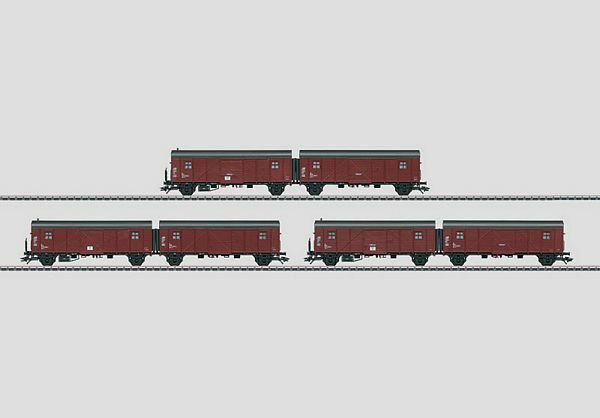 This is the Marklin 48850 3 German Federal Railroad (DB) Leig-Einheit / less-than-carload-lot type Hrs-z 330 (former Gllmghs 37) pairs of cars. Redish brown basic paint scheme. The cars look as they did in the mid-Seventies.